Weight loss shakes are one of the best ways I’ve ever found to lose weight quickly and consistently. But how do they work so quickly? The main reason why weight loss shakes work so well is that they are calorie counted and fast to prepare and drink. You don’t have to think about what you are going to eat. You don’t even need to sit down to eat. If you simply stick to replacing 1-2 of your meals with shakes, you will eat less calories than you burn, and the weight will come off on a consistent basis. I have used weight loss shakes myself very effectively for losing 56 pounds in just a few months. I also drank meal replacement shakes to lose my baby weight after both of my babies were born. Even now, I still replace 2 of my meals, 5 days a week with meal replacement shakes to keep the weight off and keep me healthy. A study conducted by obesity researchers concluded that weight loss has been significantly increased through consuming a meal replacement shake compared to an elaborate food-based diet? But what I’ve discovered from reading a lot of diet-related books, as well as from my own kitchen experiments, is that you can actually create a DIY meal replacement shake that packs with more health benefits than what you would usually get out of store-bought, powdered varieties. I’m telling you this because I know you’re planning to replace whole meals with shakes as a long-term program for weight management, and I’m just concerned that this is going to be very expensive for you, both in terms of the amount you pay for the meal replacements AND in terms of your health. For good health, we need whole, fresh fruit and veg which is bursting with natural phytonutrients. Not some factory made synthetic chemical vitamins that the body may not even absorb properly. 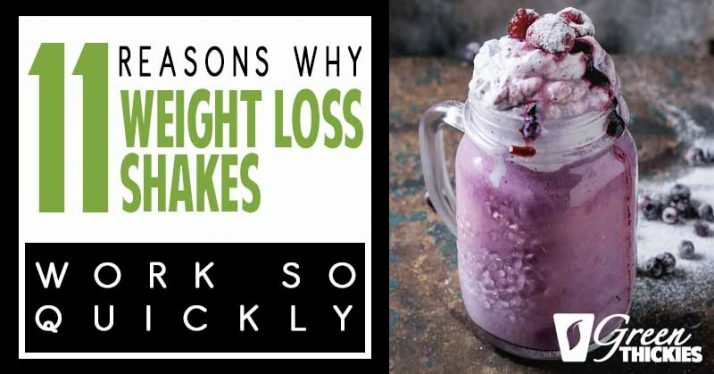 Today, I’m not only going to explain how weight loss shakes are good for you, but I’ll also give some points on why home-made shakes are a good alternative to powdered meal replacements. To answer this question, we must first start with the science behind the now-popular diet craze. Weight loss shakes are calorie-controlled beverages made out of all the essential nutrients commonly found in whole, chewable foods. 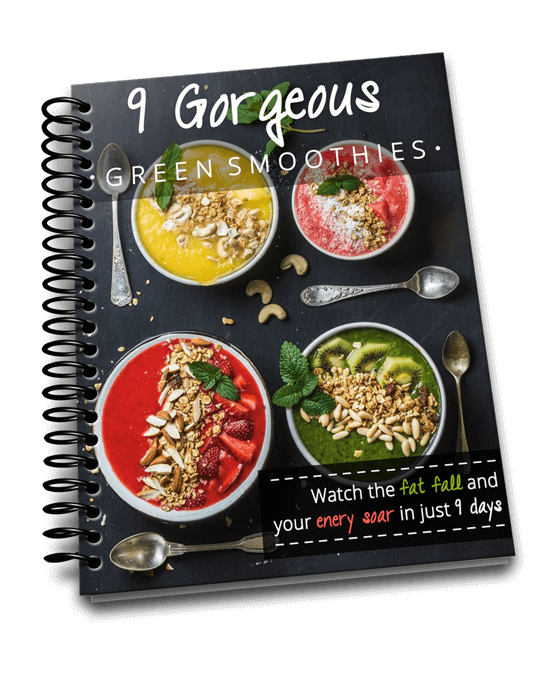 The idea is to replace your usual sit-down meals with a drink that makes nutrient absorption and mealtime itself relatively easier and quicker. These shakes are either made from store-bought powders or from scratch. 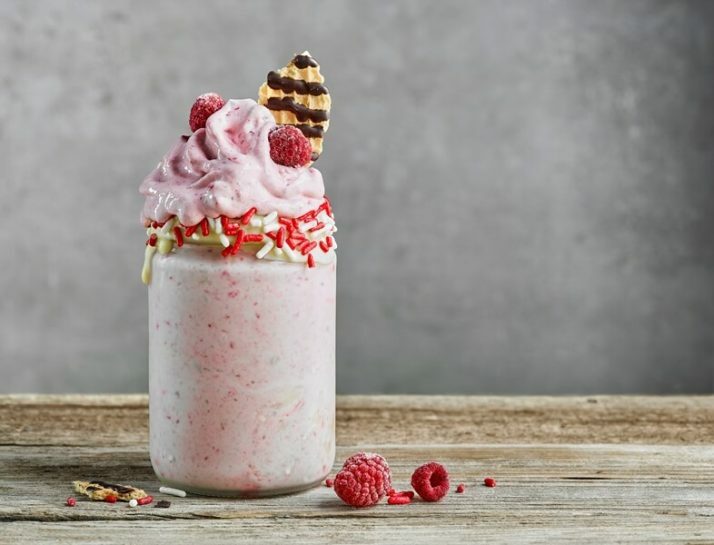 The only guiding rules for making these shakes include the need to be low-calorie, nutrient-rich and easy to prepare; otherwise, you might be better off consuming your food the usual way. As beverages, these meal replacement shakes only require you to blend the powder or the ingredients in a blender so you can have the right consistency to give you a refreshing drinking experience. These shakes are either formulated or critically measured to ensure that you absorb the right amount nutrients but in fewer calories. By restricting your calorie intake, you can experience weight reduction quickly. The ideal calorie range for these meal replacement shakes is 300 – 400 calories per glass. Additives are usually included in your meals either as flavor enhancers or food extenders. Eating foods that are prepared by cooking in a pan, baking or even eating a salad often leads you to unknowingly consume more calories than you have planned to get, and this is all due to the additives. Additives include things like cooking oil, cooking sauces, salad dressings and condiments which all contain added fats and harmful chemicals. 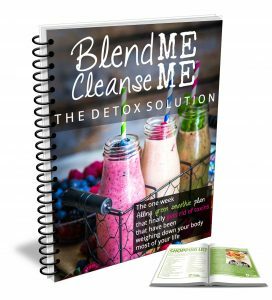 By switching to a blended weight loss shake, you can cut off the additional calories as all of your recipes only call for fresh, whole foods—that is, if you have chosen to go the DIY route. Click the link below to get my homemade weight loss shakes recipes. Weight loss shakes are known to remarkably curb cravings in between meals. This is because they are already designed to satisfy your hunger at prescribed meal times. Most meal replacement shakes include high levels of fiber from fruits and veggies, which contributes to an improve satiety in many drinkers. Another reason shakes prevent cravings is because they supply your body with all of the nutrients it needs. When your body is nutrient starved, it gives you a signal that it is still hungry, even if you’ve eaten enough calories. That’s because your body is hunting for those essential nutrients and it is hoping you will eat something containing the nutrients. Unfortunately, when most people get cravings, they see something unhealthy and binge on that. Which leads to even more hunger and cravings. The cycle continues until you start eating enough nutrients. Some dieters believe that skipping meals is necessary for weight loss, but that’s a complete myth. The truth is, skipping meals will only rev up your hunger exponentially and you’ll end up eating more on the next meal. Or even worse, you’ll start snacking on calorie laden junk food before you even get to your next meal. This won’t help you lose weight. With ready-to-drink meals a.k.a. weight loss shakes, you’ve got no excuse for missing your mealtime and even snacks. You can prepare these shakes quickly and even take them with you outdoors. You’ll never have to actually sit down for a meal; all you need is a minute or two to enjoy your drink. These shakes, especially the powdered ones, can be rich in protein content, which contributes to the feeling of fullness for longer periods of time. You can also make one from scratch by using nuts, seeds or legumes and other protein-rich plant foods as replacements for your go-to protein. Watch my video below to find out how to make your own high protein meal replacement shake. There are also studies that link increased protein intake with enhanced lean body mass, which helps in managing weight loss. Making sure your food tastes good can help you curb your appetite for unhealthy foods. Most shake recipes as well as those available in the market are designed with palatability in mind. After all, a badly cooked meal will only make you want fast food more and crave unhealthy substitutes. These don’t align well with weight loss, because if you can’t restrict your appetite you’re always battling the hunger and cravings all day long. 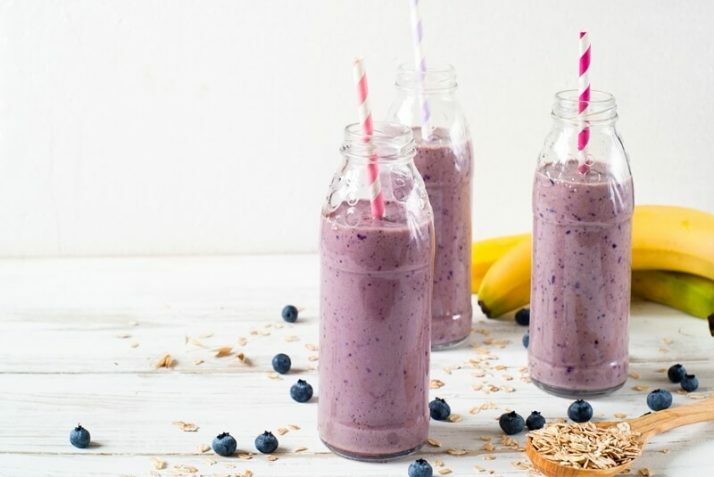 By making the shakes delicious and highly enjoyable, you can forget about munching on fries and other sinful foods that will only make you fat. Shakes that are prepared naturally are often high in antioxidants which have been found in a number of studies to aid in fat reduction. While these antioxidants from plant-based foods do not directly bust out your fat cells, they do however limit the enzymes required for the production of triglycerides which causes heart ailments. So not only will your heart benefit from the protection of these antioxidants, but they can also help you lose unwanted fat in the long run. This means that when you only rely on meal replacement shakes, your body will begin to tap on its glycogens once your energy reserves start running low. Glycogens are the fuel stores in your muscles that your body uses to burn when it has no sufficient calories. As a result, you can lose weight significantly and effortlessly by replacing your meals with weight loss shakes. Frequent drinkers of these shakes have been found to be more in control of their eating habits compared to those who stick to faddy diets. If you replace your actual meal with a drinkable food, in the long run you will develop a lifestyle that limits all unnecessary eating and makes you become conscious of what you put into your body. Weight loss shakes are short-term solutions that if consumed regularly, may also lead to a habit formation and long-term commitment. Ever wondered why your diet doesn’t work? It’s probably because you find meal preparation a huge deal of effort, which leads you to tire out and forget about properly measuring the serving sizes and just throwing in whatever food you fancy on to your plate. If you’ve bought a weight loss shake powder, everything is just a breeze. Alternatively, if you take just 2 minutes to just throw each ingredient into your blender and push the blend button, you’re likely to enjoy the outcome and the prepping experience itself. Part of the success of weight loss shakes is in making your meal preparation so much easier, which in turn helps you stick to the program. Lastly, meal replacement shakes are loaded with nutrients that are dual-purpose—meaning, they not only contribute to overall wellness but also aid in speeding up weight loss. These include B Vitamins which help revving up your metabolism and controls blood sugar levels. Other essential minerals that contribute to improved weight loss include iron, calcium and magnesium. All these nutrients are readily available through meal replacement shakes. If you are considering whether to start replacing your meals with a powdered based or an already prepared liquid meal replacement shake, I’d like to urge you to consider taking 2 minute to make your own. Here’s 5 reasons I prefer to make my own meal replacement shakes. With the rising prices of health supplements these days, it is understandable that you begin to look for better alternatives to powdered shakes. Homemade weight loss shakes are preferable because you can cut the expenses by more than half. Just remember, when you pay for pre-prepared meal replacement shakes, the ingredients are actually very cheap as they are made in a factory. What you’re actually paying for is the marketing involved in convincing you that this is a good solution for you. Part of this cost is the beautiful packaging and shipping of the product to the store. If nutritional contents are to be compared, there’s no doubt that you’ll benefit more from homemade shakes than from powdered varieties. They are freshly made everyday and are highly nutritious. We know that whole foods have so many more nutrients than factory made nutrients. But there are also so many nutrients in whole foods that we don’t know about yet. Why not put them to the test and see how much better you feel with homemade shakes than packaged shakes. Because they are marketed with extended shelf life, powders are prepared with chemical preservatives and artificial flavorings. These chemicals may be harmful to your health, and that will only backfire on you in the future. These meal replacement shakes also often contain nasty fillers to provide cheap calories which are no good for your health. You will often also find a very high amount of refined sugar in these products to make the shake taste palatable at the lowest cost to the company. 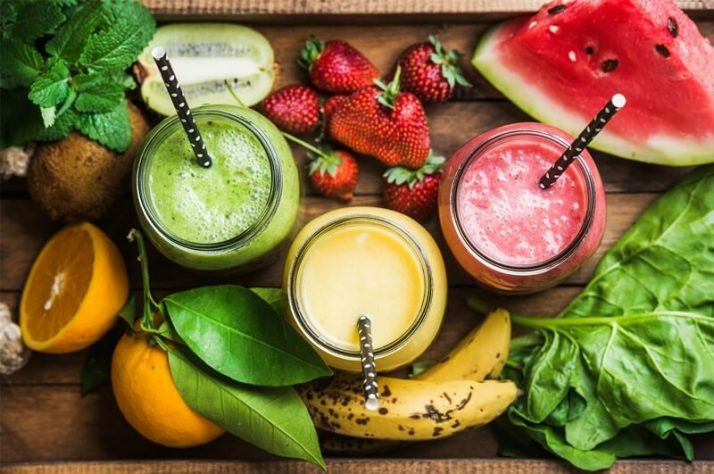 If you make your own healthy weight loss shakes, you can use fresh ingredients such as fruit to make the shakes taste good, which companies are not able to put into powders due to cost and preservation issues. You have full control of the serving size, the amount of natural sweeteners and the consistency of your shakes if you opt to make them by yourself. Unlike powdered shakes, you’ll only get the same taste glass after glass. If you make your own shakes you can choose to have banana flavor on Monday, and strawberry flavor on Tuesday and peach flavor on Wednesday. And along with the change of taste, your body will reap the rewards of a varied natural diet. 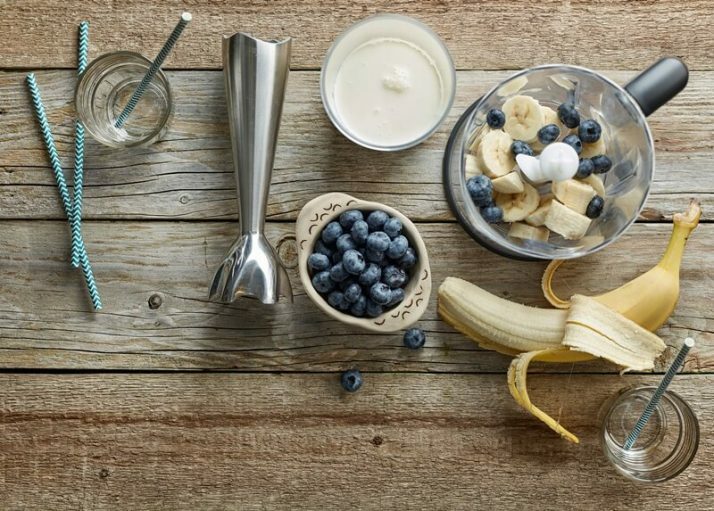 From kids and elders, to pregnant women and breastfeeding moms, there’s no restriction imposed for enjoying homemade meal replacement shakes. 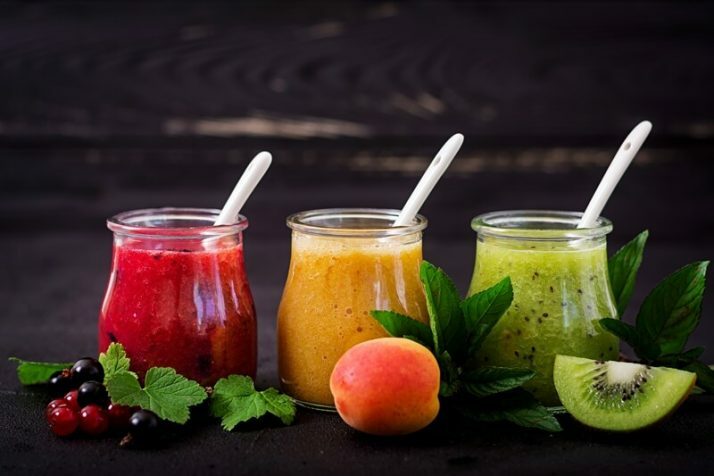 Even those suffering from health problems are not exempt from benefiting from healthy homemade weight loss shakes as they also help improve the immune system. Most people would agree that their kids could benefit from a homemade natural shake containing fruit, spinach, nuts, and oats. But would that same parent give their child a weight loss shake made from powder on a long term basis? Probably not, because deep down we all know what’s good for us. And that’s the food that comes straight from nature, not from a factory. 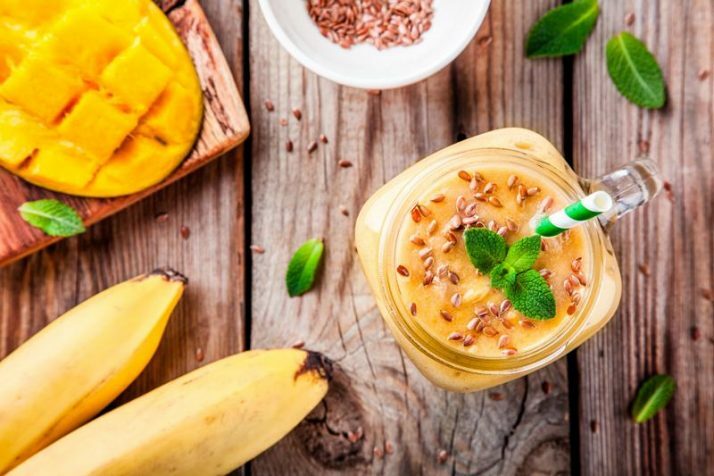 If you want to make your own weight loss shakes, I explain how to turn your smoothie into a meal replacement weight loss shake in the article below. What Are The Fastest Weight Loss Shakes? The weight loss shakes that will work the fastest are those that are between 300-400 calories each. The ingredients in the shake should be as natural as possible so the metabolism and other functions of the body responsible for weight loss are working perfectly. This is the perfect weight loss shake recipe for the fastest results. If you want to see my weight loss shake reviews to determine which are the best meal replacement shakes for you, click the link below. I hope I have successfully walked you through the basics of drinking weight loss shakes. Whether you’re aiming for a goal weight or simply wanting to start a healthy lifestyle, you can never go wrong with these cleverly thought-of beverages. 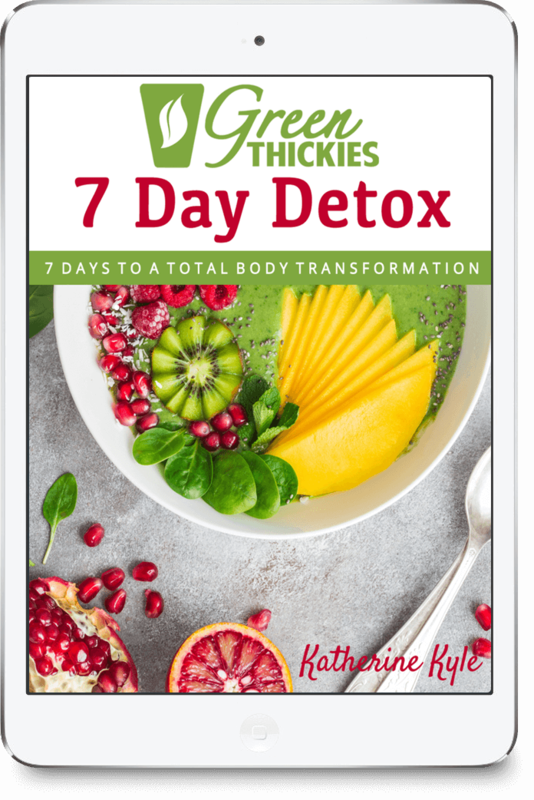 But while you’re at it, you may just opt to go DIY or homemade so you can extract as many nutrients as possible, not only for your weight loss goals but also for your overall health and well being. If you’d like to get started making homemade meal replacement shakes check out my complete guide to meal replacement shakes by clicking the link below. 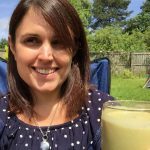 If you enjoyed this article, 11 Reasons Why Weight Loss Shakes Work So Quickly, please let me know your thoughts in the comments.